US-based Smiths Medical has added its Portex Bivona FlexTend TTS tracheostomy tubes for newborns and pediatric patients to its standard product line. Previously these devices were only available as customized products for specific clinician orders. According to the company, the Bivona Flextend TTS neonatal and pediatric tubes feature a proximal shaft extension helping to keep connections away from the neck, chin, and stoma, intended to enhance patient comfort which could prevent pressure ulcers. Bivona FlexTend TTS tracheostomy tubes, made of soft, natural, biocompatible silicone, are intended to be gentle on the sensitive tissues of neonatal and pediatric patients who require intermittent or temporary cuff use. The new Bivona FlexTend TTS tracheostomy tubes, as standard product, are manufactured in volume and stocked to fill orders promptly and to enable customers to keep inventory on hand for eventual needs. The company said it will still continue to provide Bivona FlexTend TTS tracheostomy tubes through its customization service to cater to the unique contours and dimensions of a patient’s neck and trachea. Bivona FlexTend TTS tracheostomy tubes are now available in the US and will be available in other markets later this year. 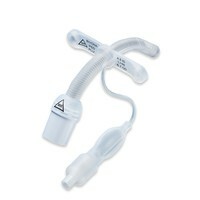 Image: Bivona FlexTend TTS tracheostomy tubes Photo: courtesy of Smiths Medical.